A while back I did one of those 30 day challenges… except instead of doing it daily over the course of a month, I did 4 at a time over the course of a year (and ended up doing 33 total for good measure and because months should have more days in them… or something). I got to thinking about some of my previous posts and then saw someone else had done one of those 30-day challenges (the correct way… you know, daily). Anyway, I thought “Here are some new things I haven’t posted in the previous run… so why not continue things. We’ll call this Volume 2 or something. For the previous posts, check out: 1 & 2 & 3 & 4 & 5 & 6 & 7 & 8. This one is easy. When I think about villains, I’m looking for those characters who could have gone the straight and narrow had one thing gone the other way. Villains should be flawed versions of the heroes and at the same time be better than the hero in some way (otherwise, where is the struggle). 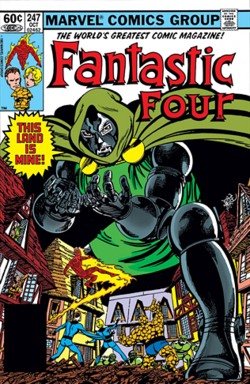 For me, that villain has always been Doctor Doom. This is more the version from just before I started collecting “The Siege on the Mansion” where they laid waste to the Avengers. Yeah, they took them out systematically. Baron Zemo used his brains to isolate them, take them out, and then go onto the next. Until it was him and Captain America… and he wanted to hurt him. 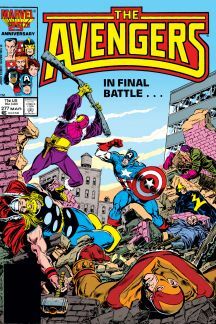 Of course, it also features Captain America overcoming the odds to win the day, but it was a hollow victory for sure. This is more about the soapbox of death in comics. 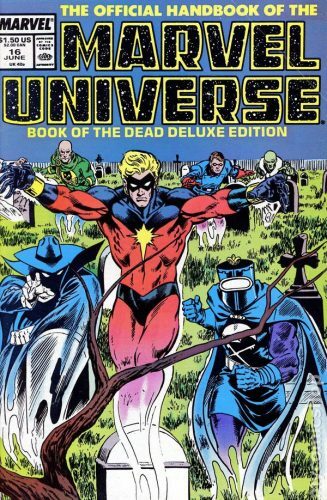 When I was first getting into collecting comics, Marvel put out these Marvel Universe books which were a breakdown of their characters. It would give things like first appearance and an overall bio… every page was fresh and new to me as I was just discovering how big the world was at that point. But my favorite run of that comic series were the Books of the Dead. Even back then I knew that death in comics wasn’t an every issue occurrence – otherwise who is the hero going to fight after a while. In that series, I read about obscure characters I’ve still never seen mentioned since, and there were the biggies, like the Green Goblin. I might have read those a dozen times. 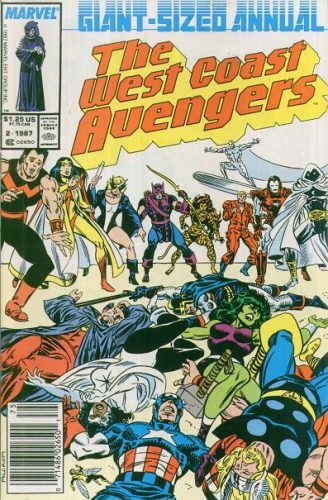 Around the same time, there was a two-part story in Avengers and West Coast Avengers where the team is forced into a fight to the death against some of those very same characters from my comic. It was one of those comics where I realized both how cool it was to have some of them back, even if only briefly, and also how it was nice to have this assortment to choose from. 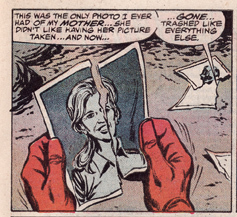 In the years since many of those characters have returned from the grave (it is comics after all)… but it makes me think about that Avengers story – it doesn’t work anymore. Yes, if they magically came back to life it works, but what about someone who was in hiding during that time (Norman Osborn)? I don’t like things being completely invalidated like that. Plus, I kind of like the idea that if someone had a reason to kill a character off, there should be a good amount of time passed before they can come back.